What is The Parrot Society of Australia's "Fledglings Program"? Fledglings was kick-started many years ago, effectively as a segment of Parrot News aimed at the junior Bird-Keeper. We had some incredible people involved, some even with a keen artistic eye, to provide something unique for children. As time went on, Fledglings was put on ice until in 2018 one of our young Members saw an opportunity to revive it. The vision was reimagined by being aimed at all ages, or should we say all Fledglings, who are new to the wide World of Aviculture. With the Society's resources, the program can work on breaking barriers between seasoned Aviculturalists and those fresh to the hobby through open education and mentorship. In turn this program aims to educate not only the aspiring Bird-Keeper, but also the general public, about our incredible hobby. So who came up with the reinvention for Fledglings? It was one of our Members from North Queensland, Caitlin Stubbs! Caitlin is a fun loving young lady, who also happens to be a bird enthusiast! Caitlin has an ever expanding interest in birds, both breeding and keeping as pets. She is forever seeking more information on the keeping, rearing, and training of any type of birds. Starting with a Cockatiel as a child, with very basic knowledge, Caitlin has expanded her skills with enthusiasm to incorporate most pet species and some not so pet types too. She is currently working with Conures and keeps many species as pets, including a Musk Lorikeet, Cockatiel, and as mentioned before various Conure species. Caitlin is also very passionate about sharing her information on keeping parrots, to ensure everyone can keep a pet parrot in good health. Being as enthusiastic as Caitlin is, she enjoys sharing that with others to keep their own birds in tip top condition. 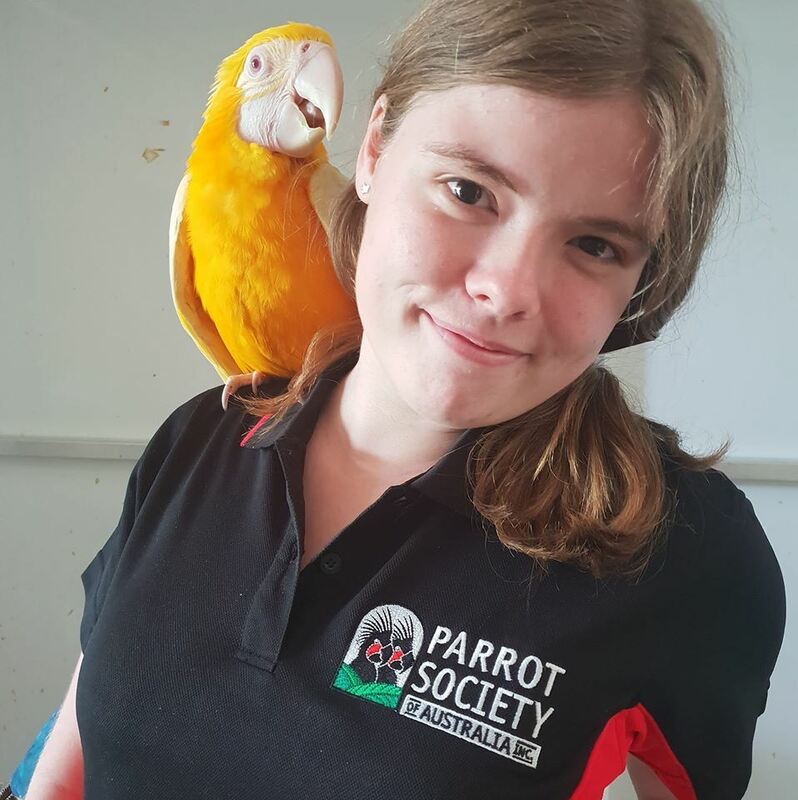 As Fledglings Coordinator, Caitlin works closely with The Parrot Society of Australia Management Committee to develop new ideas for the Fledglings Program and those actively involved. So would you like to join in with Fledglings? Firstly, you'll need to ensure you are a current Parrot Society of Australia Member. If you aren't, you can join below. If you are a Member of The Parrot Society of Australia, but haven't added the 'Fledglings Program' to you group preferences, you can follow the instructions by following this link below.